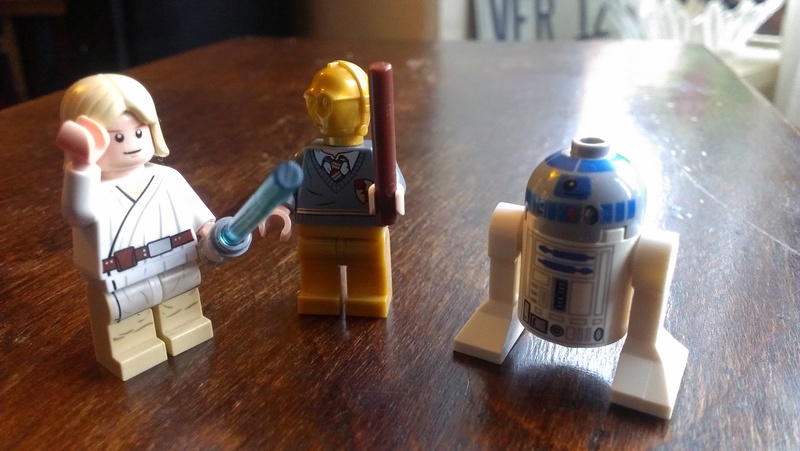 Hey Lego lovers, check this out! 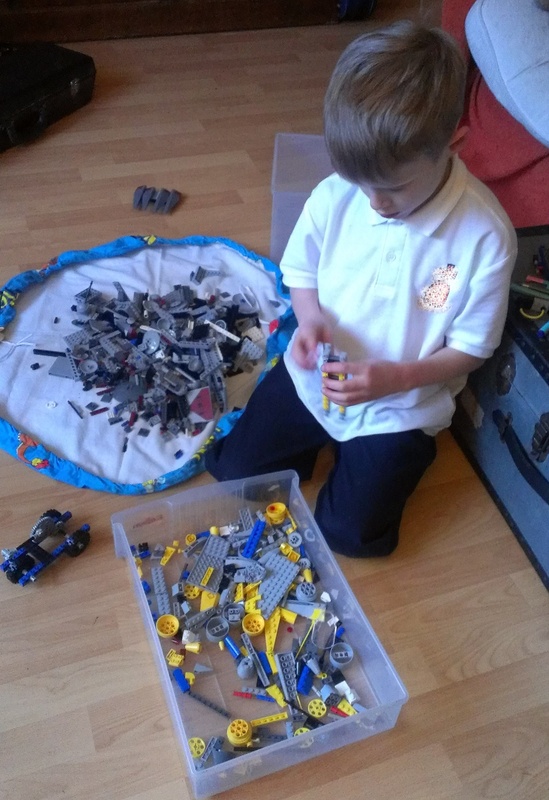 My kids have been scattering their Lego far and wide the last couple of weeks, and whilst I love to encourage their creativity, the constant tiny clatter of small-but-vital Lego pieces skittering across a laminate floor, and the resulting arguments about who lost what from who’s set is starting to fracture my sanity (I don’t have much left, and it’s precious to me). 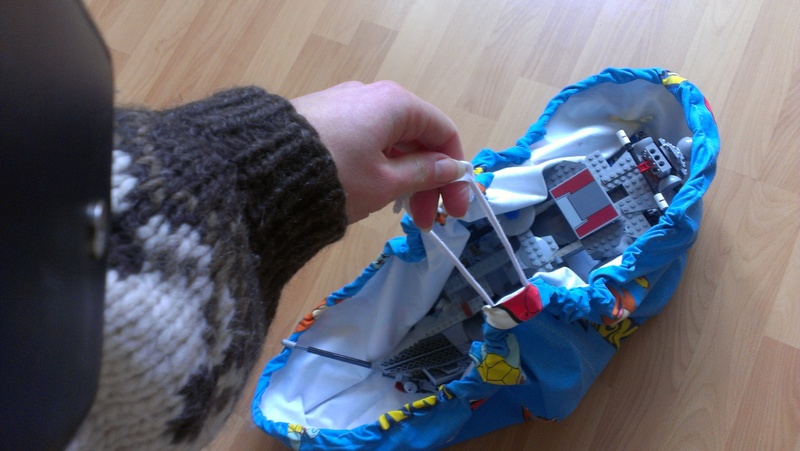 Thus, today I made a prototype bag/mat, to contain both the playing and the Lego. It worked pretty well, so I thought I’d share it with y’all, because it may just save your sanity too. Look Master Luke, I’m Harry Potter! Expelliarmus! OK, I say ‘prototype’, this is actually the second one I’ve made (the first one made a great playmat, but was so big Santa himself would have struggled to carry it up the stairs when full, so my seven-year old had no chance. So, today I made a smaller one. First let me show you how it works, so you can go (as I did, when I saw the (vastly superior) one someone else on the internet had made – yup, it’s all about sharing ideas, I claim no credit for inventing this) WOAH, that’s the best idea ever, I neeeeed one of those! Old bedsheet, or other large piece of fabric (this one is a sheet on one side, and a Pokemon curtain on the other, but a single layer of fabric is undeniably easier). Cut a large circle. I’m not going to tell you what “large” is, you work that out – depends what size material you have I guess. Not huge though (see previous comment about prototype bag). The best way to do this is to fold your fabric in half one way, then in half the other, a bit like you would to make a paper snowflake – then you only have to draw a quarter circle. It doesn’t have to be perfect, it really doesn’t. This isn’t an art exhibit, it’s something to keep clutter off the floor. 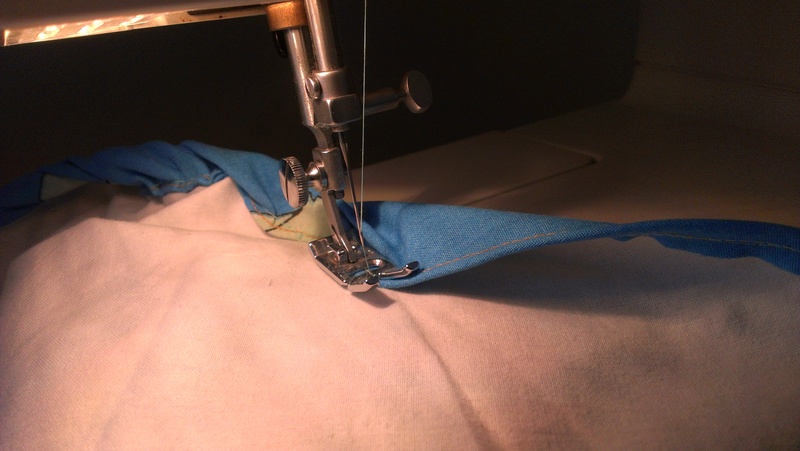 Don’t forget to leave two gaps on opposite sides, to thread the ribbon through. Hey, you’re nearly done! 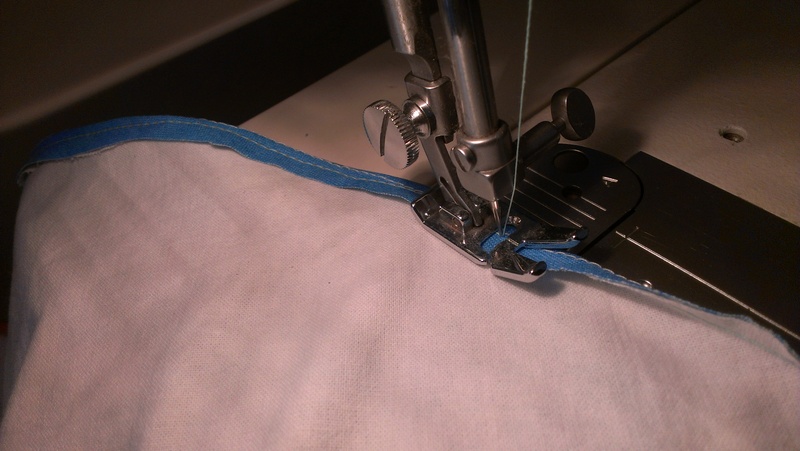 Now, get your humungous long length of ribbon/cord/whatever, and thread it through the hem. I used one of those sticks you use for cleaning woodwind instruments – it’s kind of like a chopstick with a hole at one end (like the eye of a needle). 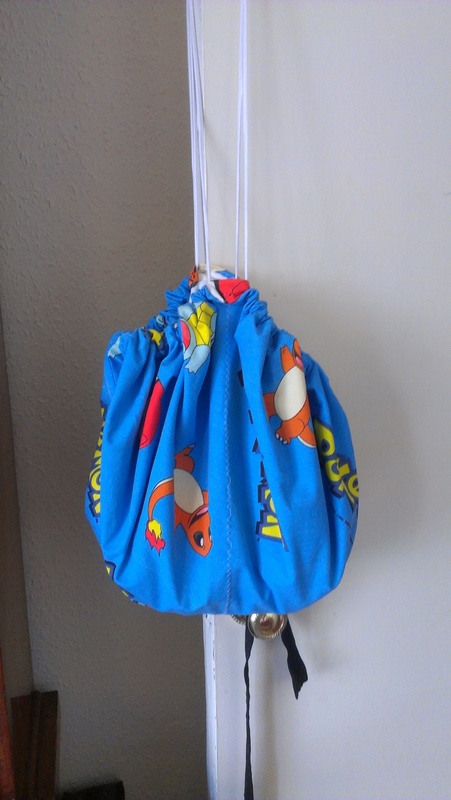 You can also use a large safety pin (pin to the end of the ribbon and you can feed it through the fabric), or anything else you can think of. Be a problem solver. Lay the mat out flat, and when the ribbon is all the way through, with a little loop sticking out of one gap and the two end sticking out of the other, tie it off, and voila, YOU DID IT. 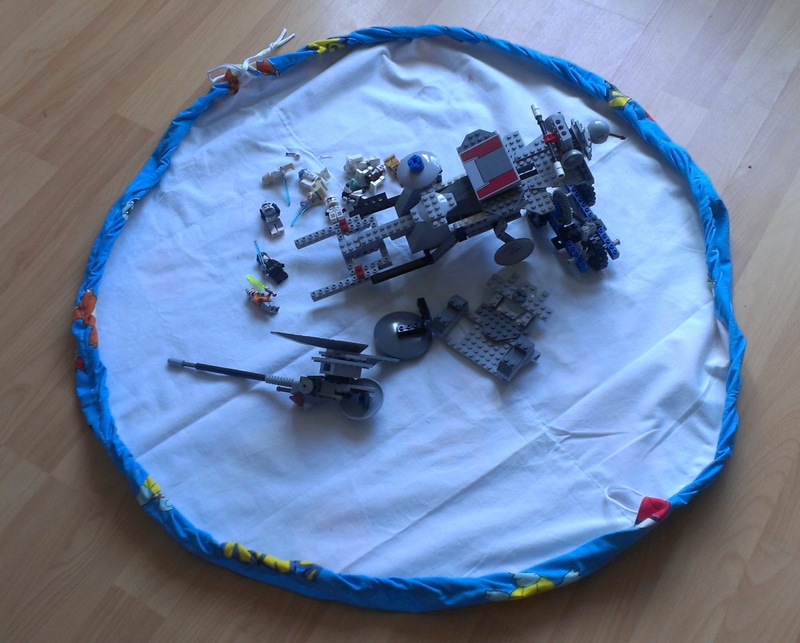 You now have a cool playmat, which will magically transform into a Bag O’ Lego when you need the floorspace. I really hope that made sense. Please leave a comment if this was useful, or if I missed anything obvious. Thanks for stopping by! And yes, it’s a Star Wars walker, I know. We live the cool. 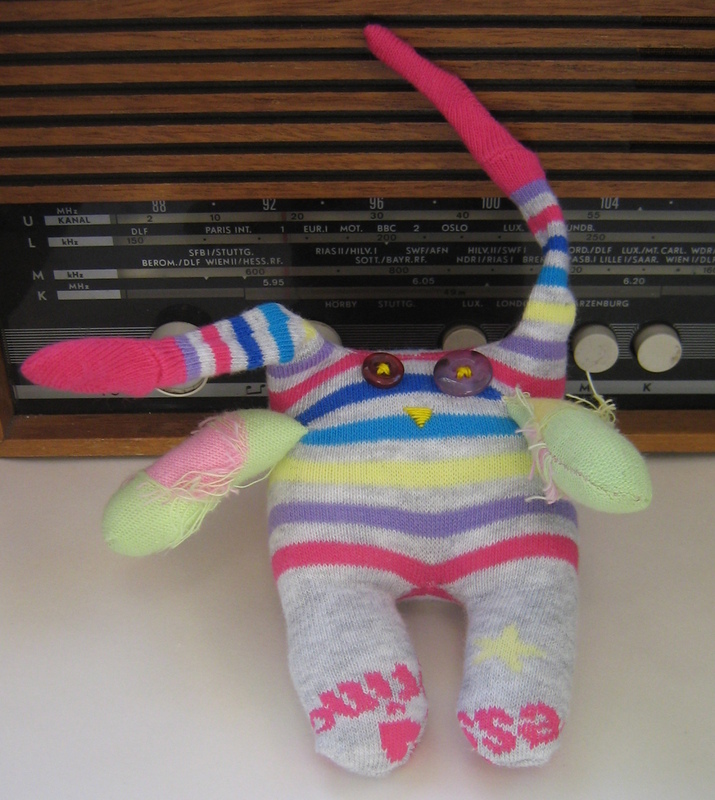 It has been brought to my attention that a fair few visitors to this site are looking not for quirky cross stitch, cuddly monsters, or how to season crocodile soup, but are in fact thirsting for the knowledge that will enable them to go away and make *their own* sock monster. Well hey, as an obsessive trawler of internet crafty how-to’s myself, let me see what I can do to help. Warning: I am much better at showing than explaining. You may need to stretch your imagination to get much sense out of these instructions (or better still, book me to do a workshop party 🙂 See what I did there?). OK, let’s start with this little lady, Princess Katoosh. Ain’t she a dainty? *Pen or chalk – for drawing where to stitch. Lost Gloves and Smitten Mittens You see them everywhere, abandoned gloves. But who will save them in their loneliness? Sarah Cole Photography Ever wondered who is responsible for the amazing Picky Miss promo photos?